The Annual (Well we did it last year!) Hog Roast!! 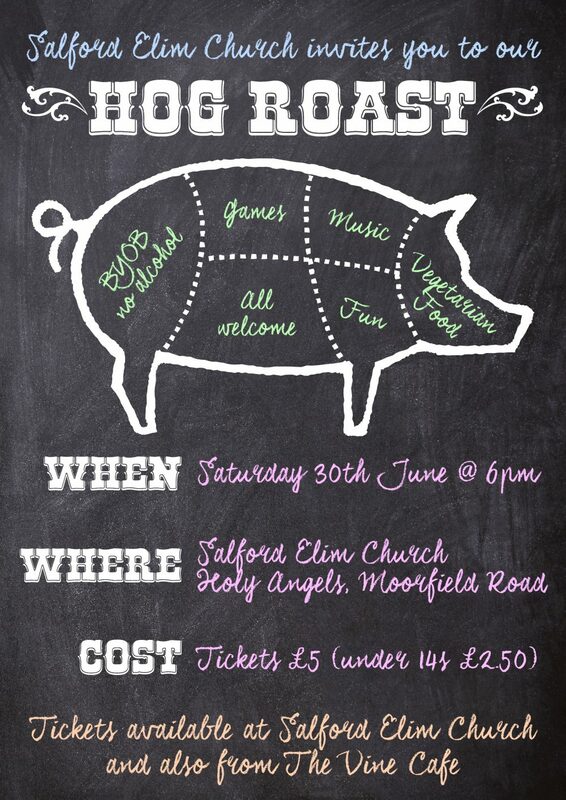 Come and join us for an evening of food, fun, games, and music. Tickets are £5 each (under 14s: £2.50), and are available for purchase after our Sunday services and in The Vine Cafe. Bring your own drinks (no alcohol); vegetarian options will also be available. On Sunday 24 June, after the morning service, from 1-2 pm in the Vine Cafe, there will be a lunch for any who are new to church. It’s a chance to hear some of our history and to get a feel for why we do things the way we do and what our hopes and prayers are for the future. It also is a way of knowing where you might fit into the church community. See Ian, Neil or Natalie if you would like to come along. We are planning to have a baptism during the morning service on Sunday 17 June. Baptism is a crucial moment for followers of Jesus. It’s the declaration that we have died to our old life and are living this new life with Jesus. It’s not a mark that we have arrived or are perfect, it’s a mark that we have been forgiven and empowered by new life, the life of Jesus. This is the first step that is the right one for some of you take now. If you haven’t been baptised yet, but you know that this is the next step for you, then please let Natalie know. We have a small group that meets fortnightly on a Wednesday evening led by Glynn and Alex at their home. They will be meeting on Wednesday 6 and 13 June. Julian and Clare lead a group at their home in Swinton. This Bible study group meets on Thursday 7 and 21 June. If you would like to join a small group, please let Natalie know. We are hoping to start a new course ‘Christianity Explored’ at the end of June (date to be confirmed, but it will be on Wednesday evenings). It’s a course that will give you time and space to think about the big questions of life and to explore the life of the person at the heart of Christian faith – Jesus Christ. The choir continues to meet every other Thursday evening in The Vine Cafe. If you’ve not been yet, but would like to, see Jo or Ian for more details. Come and join us – everyone is welcome. 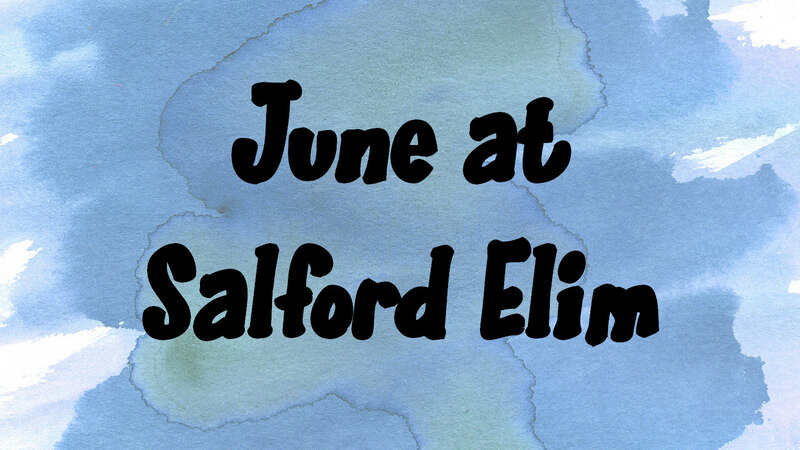 If you sing and/or play an instrument, come along for a relaxed jam session at church on Saturday the 9th of June, 2-4pm. Please let Ian know if you are thinking of joining us. At the weekend away at the end of April and afterwards, we had times when we asked each other 2 questions. The first was about how we can see how we all fit together, how we can use the gifts that God has given us for the good of others. We just want you to know that having done that exercise and being really pleased by the response, we are beginning to respond to all that was offered. Please be patient with us—we want everyone to be included, but we have to be able to get things running in a sustainable way rather than just starting a lot of things that will fizzle out. So if we haven’t got back to you yet, we will!! The second question was about how we might encourage groups of people to develop mission work in different places once a month on a Sunday morning instead of coming to the building to worship together. We had some really interesting ideas and lots of people seemed to have similar thoughts. Again, we are at the stage of compiling the possibilities and then we will bring people together to pray and discuss the possibilities. Christians are intentionally made by adventurous churches. We want to be such a church. The hope lying behind the series is that by looking at the stories of the earliest churches, we will grow in our confidence in God’s ability to help us become increasingly open to all that the Spirit will do among us; that we will prepare ourselves for growth by multiplication not just by addition; that we will all grow in our ability not only to live as disciples, but to become disciple-makers.